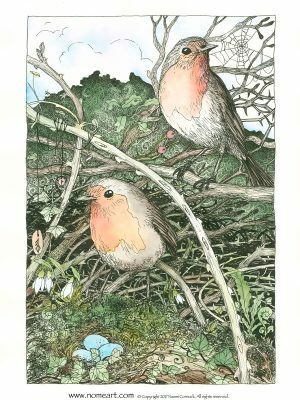 Robins have long been revered as harbingers of spring as they are one of the few small garden birds active in the deepest of winter, and to the present day to hear its song at this time gladdens the heart. In Europe the Robin is often associated with the fertility goddess Ostara and is linked with the new growing season, symbolising divine sacrifice and the rebirth of the spirit. To Robin I ask, guide me in the wisdom of change, growth and renewal.